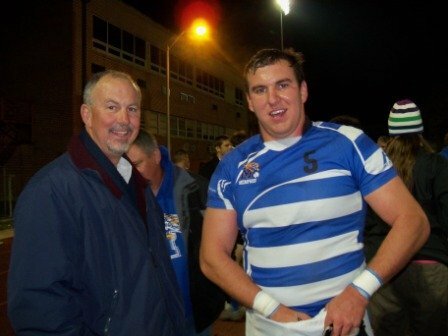 Senior rugby player for the University of Memphis Tigers, Ryan Phillips, played his last collegiate match in a solid win over Mississippi State University last Friday night. Like so many other student athletes, Ryan plays for his college without both of his parents on the sidelines because one of them is deployed in the war on terror. Bob Phillips, Ryan’s dad, trained as a Marine and is currently serving as a contractor helping rebuild Afghanistan. He has been building fire stations and adding to the busy Bagram airport. Deployed since February, Bob has only had a short week home in July. He missed all of Ryan’s spring season games and all matches this fall. 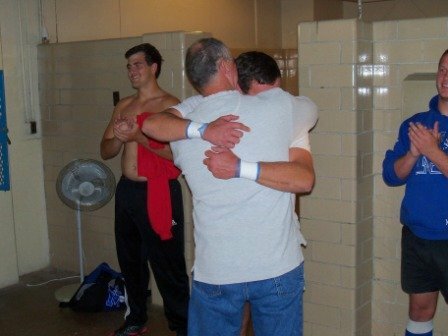 Ryan was resigned to the fact that his father would not be able to see his last match and accepted it as a part of his sacrifice for his father’s service to our country. Before each match, Kian presents the jerseys singly to the starters as he charges his team for the match before them. This day was already special since it was senior day, highlighting graduating players and thanking them for their service to the U of M Rugby Football Club. 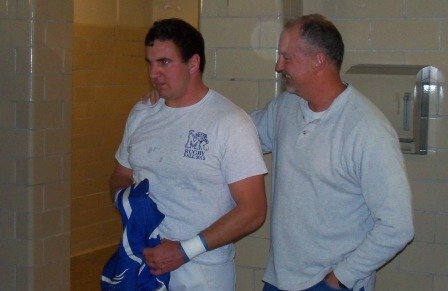 Bob was hidden in the locker room just after player warm-ups… before the jerseys were passed out. He was provided Ryan’s jersey. As special words were spoken about each senior, all jerseys were passed out. All jerseys except Ryan’s Number 5. Kian mentioned that the number 5 had not been presented, then recounted Ryan’s contributions to the team over the past 4 years… his solid play, his leadership and mentoring of young players… Ryan laying the foundation for the team’s current successes. Finally, Ryan was told that his jersey would be presented by a very special person. That was the cue. Bob rounded the corner with jersey in hand. Ryan, initially stunned and confused, lit up with surprise… and the shock turned to tears of joy. As father and son embraced the team provided a rousing ovation of cheers and applause. The team, already high as a kite, took the pitch with added energy. To make the night even better for the Phillips family, Ryan scored the first try of the match… his first points of the fall season. The Tigers won the match 44-0. However, the score does not reflect the fierce play of the day. 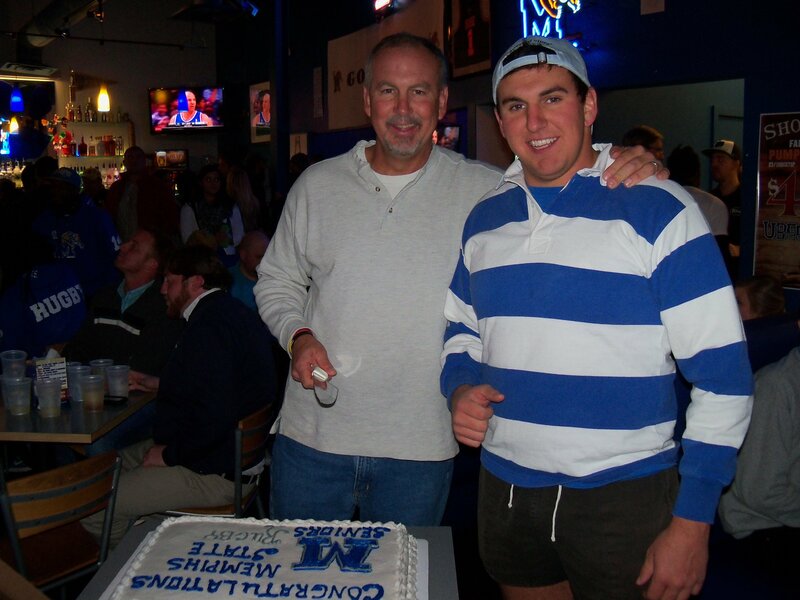 Mississippi State is a powerful team, however, this day the Tigers were fueled by special memories of their seniors and of a father/son reunion. Ryan graduates in a few weeks with a degree in history and political science, and is considering a degree in Law.